Yes, I know, you may be wondering where is the 5th shade from the picture? I actually couldn’t find the 5th shade when I was clicking pictures. Lol 😛 Yeah that’s just me! So I swatched 4 of them for you guys to have an idea of the shades. The one missing from the picture is the shade “fleur” Not intending to misguide you , the swatched shades haven’t really dried yet when I clicked. Details: These Lip Gloss are awesome. they come in a “not-so-impressive” bottles but is really good enough for the price. I don’t care about the packaging. All I care about is how the product works on me and I must say I’ll give it 5/5. It is very easy to apply, doesn’t take very long to dry and give you that beautiful hot matte look. It stays forever on your lips. Ohh I just love it. The colors are so intense, long-lasting, do not stain the surfaces you touch with your lips(not that you will be touching the walls or roads with lips but..) like glass, tissue etc. it does not bleed at all. I ordered the more of it to be honest and I I’ll definitely get more of FLEUR, INSTINCT and SECRET. INSTINCT is a beautiful bright orange color with a little touch of red. If you have wheatish skin as mine, this color as well as SECRET will make you look fairer. Fleur is nudish shade which is ideal to wear anytime, every time. I am so amazed with the staying power. I applied at 10 am and when I came home at 7pm it was still there. 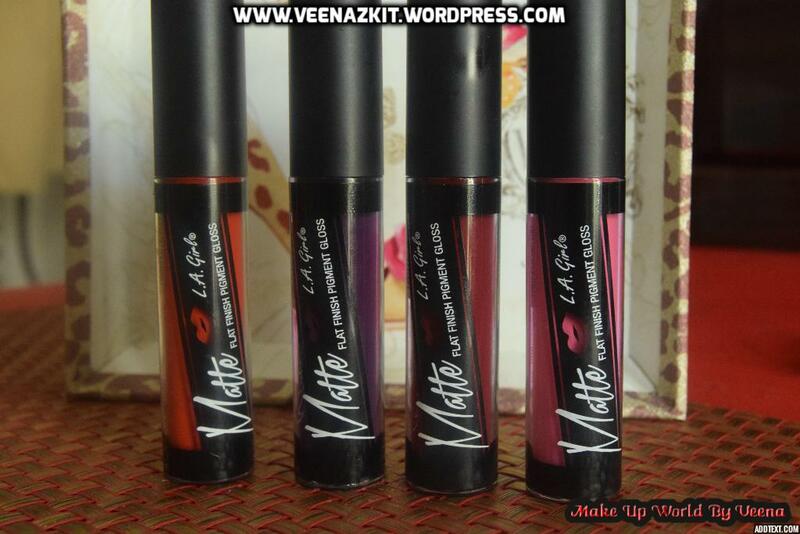 If you fancy matte lipsticks, I suggested you should get your desired shade from this range.